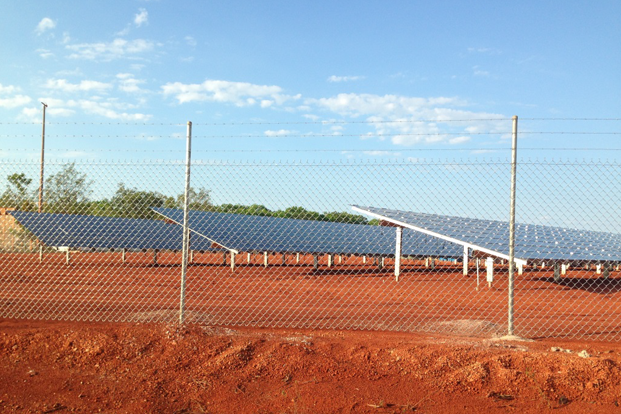 This solar farm in Queensland shows the advantages of consistent, clean and cost-effective renewable energy for Australia’s off-grid mining industry. 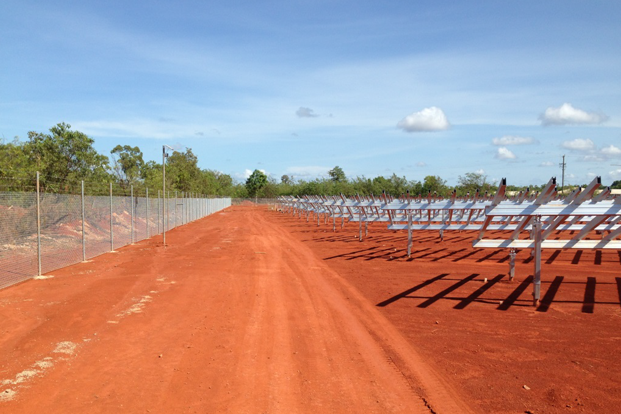 The project will construct and operate a 6.7MW solar photovoltaic (PV) solar farm in two stages at Rio Tinto’s remote bauxite operation in Weipa. The system will connect to Rio Tinto’s existing mini-grid at Weipa and deliver electricity according to a long term Power Purchase Agreement (PPA). 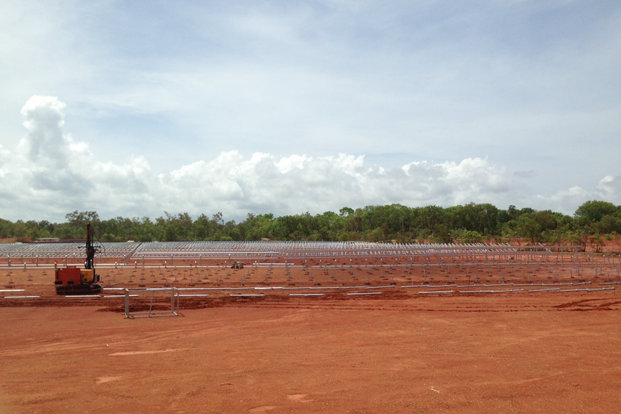 This project involves the two stage construction and operation of a 6.7MW solar photovoltaic (PV) solar farm at Rio Tinto’s remote bauxite operation in Weipa. The first stage of the system is complete and connected to the existing mini-grid at Weipa, delivering electricity under a long term Power Purchase Agreement (PPA). This project is the first application of renewable energy to power critical mining operations in a remote location where there is no access to Australia’s main electricity grids. It is increasing awareness and knowledge within the mining sector of the processes required for developing and operating renewable energy systems in remote off-grid energy locations and the economic benefits that are possible through investment in renewable energy. 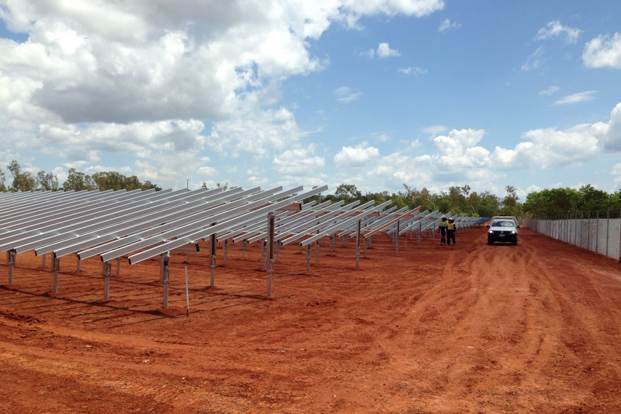 The Weipa Solar Farm is complementing existing diesel generation at Weipa with a reliable source of renewable electricity. This is reducing Rio Tinto’s exposure to future fluctuations in diesel fuel prices and also support the company’s commitment to the environment. Volatile commodity prices are placing significant pressure on mining industry operators to reduce risk and costs in order to remain competitive. Renewable energy solutions can assist mining operations to reduce costs, but the industry will remain sceptical until the economics and reliability of solar energy are proven. ARENA has provided $3.5 million for the first stage of the project, which is now complete. Stage one consists of 18,000 PV using First Solar’s thin- solar panels mounted on steel and aluminium structures. It is expected to generate generate up to 1.7MW of electricity for the Weipa bauxite mine and processing facilities as well as the surrounding community in Queensland’s Western Cape York Peninsula. In the middle of the day, electricity generated by the solar farm offsets up to 20% of existing diesel-generated electricity, which is expected to save up to 600,000 litres of diesel each year that would have otherwise been required to fuel Rio Tinto’s 26MW power station. The second stage of the project will attract an additional $7.8 million to increase the amount of solar energy generated to 6.7MW and facilitate the installation of battery storage.